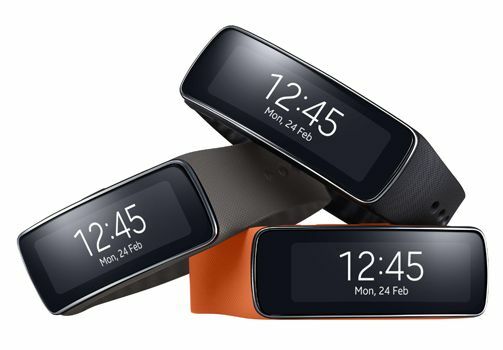 Samsung unveiled fitness band Samsung Gear Fit at MWC 2014 along with Galaxy S5. The Gear Fit is the fitness band built on Gear technology. 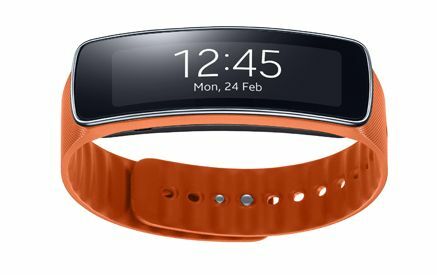 The Samsung Gear Fit comes with 1.84-inch Curved Super AMOLED display with 432×128 resolution, IP67 Dust and Water Resistant, mobile notifications and 210 mAh battery. The Gear Fit provides much more than an everyday fitness band, keeping consumers up to date instant notifications from Galaxy Smartphone’s such as incoming calls, emails, SMS, alarm, S-planner, 3rd party apps while consumers are on the move so they can stay connected. The Gear Fit will use Bluetooth 4.0 Low Energy to connect with Smartphones. The 210 mAh Battery will power the Fit for 3-4 days for typical usage and up to 5 days for low usage. Notification by phone like SMS, Call, Email, apps etc.